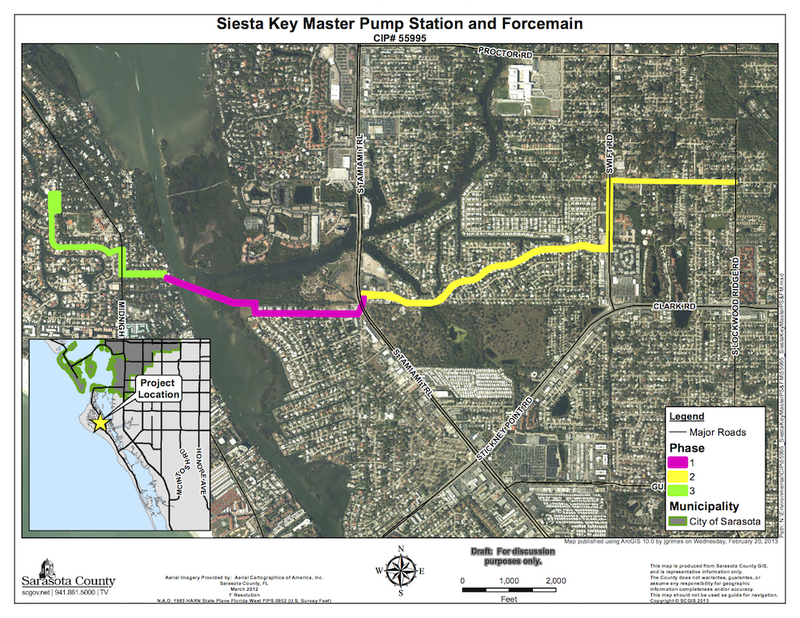 As Siesta Isles residents continue to deal with the physical manifestation of the project, Sarasota County staff has reported to the state that three phases of the project to decommission of the Siesta Key Wastewater Treatment Plant are at least 80% completed. In a July 24 update to the Florida Department of Environmental Protection (FDEP), Scott N. Schroyer, director of the county’s Public Utilities Department, and Patricia Nihart, an environmental specialist in the department, pointed out that at that time, the conversion of the wastewater plant to a master pump station was about 60% complete. “The master pump station and [sewer force main being extended through Siesta Isles to the plant site] will allow the facility to be taken off line and decommissioned,” the report said. Phase 2, which involves the extension of sewer pipeline on the mainland, connecting from the Phase 1 work, was 99% finished, the report noted. Additionally, the county is expanding its Central County Water Reclamation Facility to accommodate the flow of sewage from Siesta Key, the report explained. That project was approximately 80% complete, the report added. 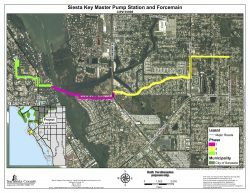 The FDEP permit under which the county operates the Siesta Key Wastewater Treatment Plant will expire on June 19, 2018, the report noted. However, Schroyer told the County Commission a few months ago that staff still was planning on decommissioning the facility by the end of this year.